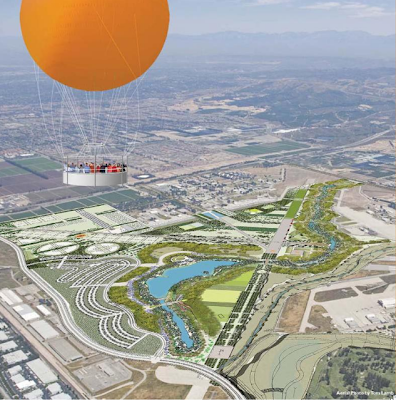 July 25, 2008 in "KEN SMITH", "MIA LEHRER", "ORANGE COUNTY GREAT PARK"
Orange County Great Park is sure to be the next great park of this century. I's quit possible that it will attain the cache and importance of Central Park fifty or one hundred years in the future. Interesting to view the presentation of Ken Smith and Mia Lehrer. You can view some short films on the park design at Mia Lehrer's site/go to "NEWS", then view the films under heading "Great Park Design Studio."